What the heck?! This is so cool! 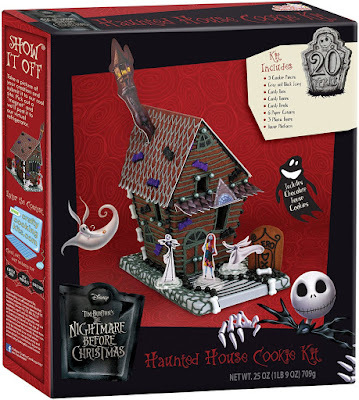 I wish I'd known about this Nightmare Before Christmas Haunted House Cookie Kit before Halloween. Ah well, at least I know about it now in time for Christmas! 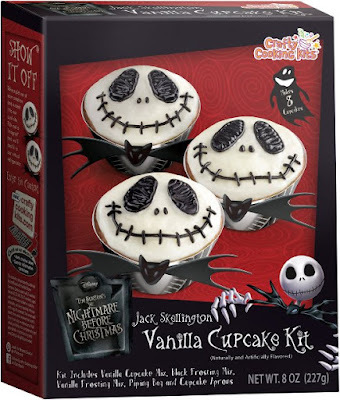 And here's a Jack Skellington Nightmare Before Christmas cupcake kit. 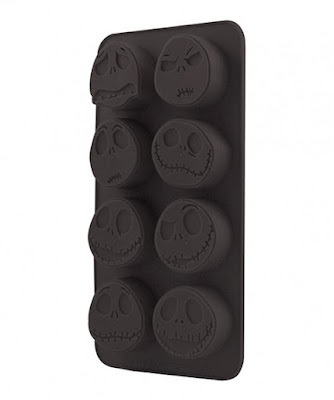 I'd love to stockpile a bunch of Jack Skellington face ice cubes for my next dark glamour cocktail party. Meanwhile, I'm also tempted to use this Nightmare Before Christmas ice cube tray as a Jello mold for - what else - blood red cherry Jello!